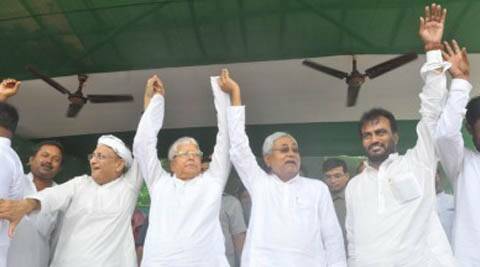 The JD(U), RJD, Samajwadi Party, BSP, JD(S), BJD, fragments of the old Janata could come together and form a party. When I was in India during the first India-England Test, a high-level member of the new government asked me which side I supported. I said, aware of the political nuances, “The winning side”. Alas, there has been little to cheer the Indian side. Yet, in the aftermath of the defeats, one pattern has become clear which also explains the problems in Indian politics. Since winning the series, the English side has gone back to training and is working hard not just for the ODIs but also the next Test series. The Indian side is keen to make one thing clear — it is no one’s fault. No one is to be blamed or sacked for what they did or failed to do. Ravi Shastri, just appointed the director of Team India (and good luck to him), made an immediate announcement that Duncan Fletcher would not lose any power, let alone his job. All are innocent. For a moment I thought the BCCI had copied the Antony report on why the Congress lost the elections. Of course, the report is highly secret. But one conclusion has been trumpeted — it is no one’s fault, at least in the Leadership. Rahul Gandhi, just like Gautam Gambhir, was brilliant, though he may have scored several ducks. Sonia Gandhi is faultless and shall always be so, like M S Dhoni. There are some elections in the offing, but the Congress is not sure whether they have priority over a chintan baithak, which can once again absolve the Leadership of any fault and declare that all is well. The Congress is still under the impression that what happened is just a bad dream. One day we will all wake up and find the normal routine back. Power will revert to those legitimately and hereditarily entitled to it, as there is no one more secular, more deserving and more dedicated. The Other side must have tricked, spread their shadayantra and misled the people into believing that they were suffering from scams and high inflation and low growth. The present is therefore maya. The true reality is the invisible one where the Congress continues to be in command. The poor BJP is, on the other hand, running around and reorganising itself as if it had lost the election. There is a new president and he has a new team. BJP MPs are being told to clean up their act, report to their party headquarters, and go back to their constituencies to make sure they respond to the grievances of the voters. How naive and how un-Indian. This is what British MPs do routinely. The only quarter where there is some awareness that life has changed is in Bihar. The coming together of Lalu Prasad and Nitish Kumar, unlikely as it is, shows that the oldLohiaite camp is more politically awake than the Congress. The appeal that Lalu Prasad made to Mulayam Singh and Mayawati should not be dismissed as fanciful. The sound logic behind it is to revive the Janata Party of 1977 without the Jan Sangh/BJP. Lohia espoused anti-Congressism as his basic agenda. Fifty-plus years on, there is no Congress left to be anti about. The BJP is the new permanence and hence, the call to have an anti-BJP alliance. It is difficult as of now to say whether this will work. But the quickness of the response contrasted with the lackadaisical approach of the Congress tells us that if there is to be an opposition party in the near future, it can only come from a revived Janata. All the pieces of the jigsaw puzzle — the JD(U), RJD, Samajwadi Party, BSP, JD(S), BJD, fragments of the old Janata — could come together and form a party. They arrivals at the regional level as they battle for the caste vote banks. The only theme that unites them at the national level is the fear of the BJP. That may not be enough to form a national opposition coalition. But then, what else is there? The Left has disappeared. The Aam Aadmi Party has self-destructed. Perhaps India will revert to the glory days of single-party hegemony, as during 1947-1989. But with the BJP, not the Congress. Achhe din wapas aa gaye!